With the movie adapting the epic Civil War storyline, it's understandable that Marvel Studios are bringing together a huge cast of their heroes for the second Captain America sequel, with Iron Man (Robert Downey Jr.), Black Widow (Scarlett Johansson), and Falcon (Anthony Mackie) joining Cap for a bout of clashing ideologies and a fair bit of infighting as the heroes come to blows over the controversial Superhero Registration Act. 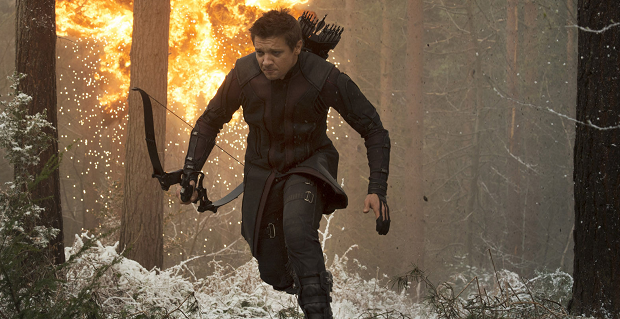 Now, it's been confirmed that another Avenger will be joining the fray, with Jeremy Renner picking up the bow once again to reprise his role as Hawkeye. Hawkeye is the one member of the cast who actually wasn't present for Civil War in the comics, being 'dead' during the time it initially took place, but he was highly critical of Tony Stark's pro-registration stance on his return, so I wouldn't be surprised to see him to take up arms alongside Captain America. As well as the familiar faces, Civil War will see Chadwick Boseman make his Marvel Cinematic Debut as Black Panther, and, of course, the MCU debut of the new, yet to be cast Spider-Man. On the villain side, Frank Grillo, last seen in Captain America: The Winter Soldier as Brock Rumlow, will be returning in a new guise as Crossbones, and Daniel Bruhl in a mystery role. Captain America: Civil War is set for release May 6th 2016.